According to parenting experts, the average youngster hears the word “no” an astonishing 400 times a week. That's not only tiresome for you, but it can also be harmful to your son or daughter. According to studies, children who hear “no” too often have poorer language skills than kids whose moms and dads offer more positive feedback. Also, saying “no” can become ineffective when it's overused (a little like crying wolf). Some children simply start to ignore the word, while others slip into a rage the minute that dreaded syllable crosses your lips. So what's a parent to do — let her kids run amok without any limits? Well, no! Parents can break out of the “yes-no tug-of-war” by coming up with new ways to set limits. 1. Adjust your use of the word "no" over time. For example, in the first year of life, the word "no" is usually reserved for warning your youngster of dangers he encounters (e.g., a hot stove). Preschoolers might hear "no" regarding their negative social interactions. Older kids and teens hear "no" in response to their material requests. Temper your use of the word "no" as your youngster's skills and independence grows. 2. Are You a Parent Who Can't Say No? In their zeal to give their kids everything they need, some parents risk giving their kids everything they want. Parents who practice attachment parenting risk becoming totally "yes" parents, with "no" being foreign to their parenting style. It is important for the parent to feel comfortable saying 'no' to the child from the very beginning. 3. Avoid Set-ups. For example, if you're taking your youngster along with you to a toy store to buy a birthday present for his friend, realize that you are setting yourself up for a confrontation. Your youngster is likely to want to buy everything in the store. To avoid the inevitable "No, you can't have that toy," before you go into the store, tell him that you are there to buy a birthday present and not a toy for him so that he is programmed not to expect a toy. 4. Create Alternatives To The N-Word. Constantly saying "no" causes this word to lose its punch. Since stop sounds are used mainly to protect, try using more specific words that fit the situation. Consider this example: When a child is about to reach into the cat litter box, your first reaction is to say "no," but follow it up with an explanation: "Dirty! Make you sick." Next time the youngster goes for the litter box (and he will do it again), instead of "no," say "Dirty! Make you sick." That (and a disgusted expression on your face) will help the youngster learn the “why” as well as the “what” of good behavior, and the litter box will lose its attraction. 5. Distinguish between reasonable requests and unreasonable requests. Seasoned moms and dads often advise new parents to "choose your battles." You and your spouse should decide what requests are reasonable. If your 5-year-old yearns to jump in puddles every day, perhaps he could be indulged now and then if you have time for a quick clean up before dinner. 6. Encourage your children to think about others. The next time your children ask for new clothes, start by asking them to take inventory of what they already have. If they have outgrown a lot of their clothes, use the opportunity to teach them about donating their old clothes to others in need. If your kids want a big birthday party but you don't think they need all those gifts, encourage them to ask guests to bring money to donate to a charitable organization or a book that could be exchanged at the party (so everyone gets a gift). Or you could just write "no gifts" on the invitation and explain to your youngster that some families might not have extra money in their budgets for gifts. 7. Explain why you're saying “no” in terms children can understand. The slave labor excuse might resonate with a 10-year-old, but it won't work on a 4-year-old. You'll just get a blank stare then more pleading. That's why your response has to be age appropriate -- and simple. If you have young kids and want to prevent in-store meltdowns, set limits before you go shopping and tell them what the consequences are for disobeying. "You can pick out one thing" or "We're just getting a few things at the grocery today, so please don't ask for anything." 8. Give Positive Substitutes. Present a positive with your negative: "You can't have the knife, but you can have the ball." Use a convincing expression to market the "can do" in order to soften the "can't do." "You can't go across the street," you say with a matter-of-fact tone of voice; then carefully state, "You can help Mommy sweep the sidewalk." There is a bit of creative marketing in every parent. 9. Master "The Look". You can often correct a youngster without saying a word. Master disciplinarians use a look of disapproval that stops the behavior, but preserves the youngster's self-image. Your youngster should understand that you disapprove of the behavior, not him or her. To be certain you strike the right note in disapproval discipline, follow the look with a hug, a smile, or a forthright explanation, "I don't like what you did, but I like you." 10. Personalize "No". Rather than giving a dictatorial "no," add your youngster's name (e.g., “no Michael”). If you tend to shout, a personalized address at least softens the sound and respects the listener. Some moms and dads confuse respecting the youngster with granting him equal power, but this is not a power issue. The person with the power should respect the person taken charge of. That consideration holds true in parenting; it holds true in other relationships as well. 11. Prepare yourself to be on the receiving end of "no." Saying "no" is important for a youngster's development, and for establishing his identity as an individual. This is not defiance or a rejection of your authority. Some moms and dads feel they cannot tolerate any "no's" at all from their kids, thinking that to permit this would undermine their authority. They wind up curtailing an important process of self-emergence. Kids have to experiment with where their parent leaves off and where they begin. Moms and dads can learn to respect individual wishes and still stay in charge and maintain limits. 12. Reinforce your values by saying "no" with a calm demeanor. If you become shrill (and what parent doesn't at one time or another?) you risk alienating your youngster, as she rolls her eyes and discounts your reasoning. 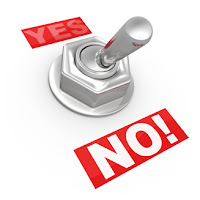 Saying "no" one time, firmly and with conviction will become increasingly effective over time. 13. Remember to listen to your youngster and validate his feelings. Although we as moms and dads are not obligated to explain every refusal to our kids, sometimes we need to open up the lines of communication by hearing the youngster's side of the argument, even when we know the answer will still be "No!" 14. Rephrase your youngster's question into a sentence. If he says, "Do I have to go to bed?" You can say, "I know you don't want to go to bed, but it is bedtime and we have to wake up early." Again, acknowledge their request, because all children want is to be heard. 15. Say, "Yes, but you'll have to use your money." Children don't have a problem spending your money. But if they have to pony up their own cash, they might back off with their requests. Plus, making children pay -- or at least chip in -- for things they want teaches them a good lesson about making choices. 17. Substitute a choice if you feel that all you ever say to your youngster is "no." 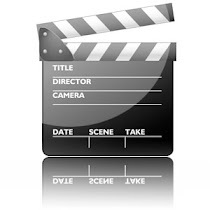 If your son asks to watch a movie you have decided is too mature, instead of saying, "No!" you could respond, "We can watch a movie, and the movies you can choose from are X, Y and Z." 18. Teach Stop Sounds. Often a change in your mood or body language is not enough to redirect impulsive actions. Words are needed. Kids soon learn which discipline words carry more power and demand a quicker response than others. And kids soon learn which tone of voice means business and which allows for some latitude. Arm yourself with a variety of "stop-what-you're-doing" sounds so that you can choose one that fits the occasion. Tailor the intensity of the sound to the gravity of the behavior. Save the really big sounds for true danger. 19. Use the word "no" consistently for maximum impact. If your teenage daughter knows you will cave in and extend her curfew after 20 minutes of begging, she has learned that "no" does not really mean "no." Consistency is important across all age levels. When You Say It, Mean It. Follow through on your directives. 20. What If Your Youngster Won't Accept No? Kids, especially those with a strong will, try to wear moms and dads down. They are convinced they must have something or their world can't go on. They pester and badger until you say "yes" just to stop the wear and tear on your nerves. This is faulty discipline. If however, your youngster's request seems reasonable after careful listening, be willing to negotiate. Sometimes you may find it wise to change your mind after saying "no". While you want your youngster to believe your "no" means no, you also want your youngster to feel you are approachable and flexible. It helps to hold your "no" until you've heard your youngster out. If you sense your youngster is uncharacteristically crushed or angry at your "no," listen to her side. Maybe she has a point you hadn't considered or her request is a bigger deal to her than you imagined. Be open to reversing your decision, if warranted. Make sure, though, that she realizes it was not her "wear down" tactics that got the reversal of your decision. Dealing With Your Child's "Silent Treatment"